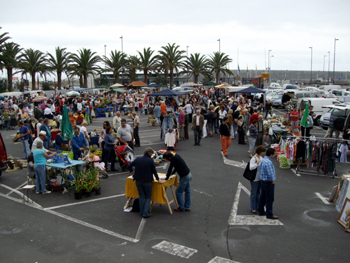 Tomorrow the monthly flea market will be held in the port car park at Santa Cruz de la Palma. There’s an amazing variety of stuff on sale. For some reason there are lots of flowers, plants and vegetables, but also various crafts and antiques. The flea market in Argual, just outside Los Llanos, takes place every Sunday from about 10 am to about 2 pm. 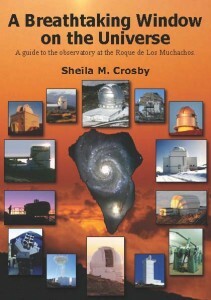 It’s smaller than the monthly market in Santa Cruz, but it’s a much nicer situation. I think it’s been a market square for a very long time. At any rate, it’s surrounded by beautiful old buildings and has trees growing in the middle (which must be really nice on the hottest days). This market has a slightly different flavour to Santa Cruz. It has a much higher percentage of German Hippies selling New Age things like Tibetan singing bowls. I only saw two stalls setting plants. One also sold vegetables, and I bought some really good broccoli, plus sage and dill for the garden. And one man was selling Palmeran cigars. Now I don’t smoke, but I believe Palmeran tobacco has a very good reputation.